Jon Walters says 'there was no other decision to be made' as he calls time on his football career due to an Achilles injury. The 35-year-old suffered a partial rupture last year but it has been hoped he would return to play this season. However, he has today decided to end his career, saying the injury was not something he could overcome. Speaking on Virgin Media Sport, Walters said the outcome wasn't promising when he was first struck with the injury. He was determined to defy medical opinion at the outset but gradually came to the realisation that wouldn't be able to make a comeback. "I sort of half knew early on in the injury," he began. "I saw a specialist. I didn't need to operate but he told me I'd lose a lot of power in the Achilles and it wouldn't be right for a couple of years to be able to push off properly but me being me, I thought I'd prove them wrong and go through the whole rehab process. "The more running I got into me, the faster I got [and] the more the difference was obvious. You do certain tests in the gym and the difference between the legs is quite big so I think it was a case of no other decision really to be made." He added that working on his rehab was quite lonely at times, but stressed that he is at peace with his decision to step away from the game. Isn’t it ironic...my Achilles heel has literally been my Achilles heel and finished me off! "I've had a difficult past couple of years with injuries and I've spent a lot of time in the gym. As a footballer, all you want to do is be out there playing football. To see the boys going out every day it's been difficult so I went on loan to Ipswich during a difficult time [with] what was going on in home life. "I had a few things going on in the summer and I chose to go the furthest place away from the family and when it happened, I sort of took it as 'what's meant to be is meant to be' back at home with the family. Within a few weeks, I was back at Burnley. "Because I've had that much time on my own in the gym, I'm ok with it. It's just a case of next chapter. It comes to us all." 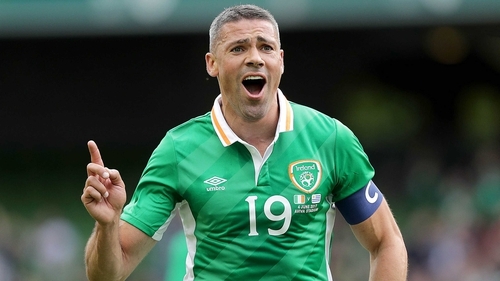 Walters was capped 54 times for Ireland, scoring 14 goals, including in play-off matches with Estonia and Bosnia-Herzegovina as his country qualified for two European Championships. He joined Burnley for £3m in a two-year deal in 2017 but was dogged by injuries throughout his time at Turf Moor. Prior to that he enjoyed seven years at Stoke City prior to that, making 271 appearances. Republic of Ireland captain Seamus Coleman paid tribute to his former team-mate today. "As long as he's been in the squad, he's been an example," the Everton defender said. "The pride every time he has played for his country, it's been inspirational. He nearly carried us to the Euros in France." Ireland boss Mick McCarthy said: "It is sad to see him go but it happens to all of us, to the best. He was an inspiration for Ireland and it’s sad to lose those type of players, and it’s even sadder still when it is because of injury. "I know he’ll be supporting us and wishing us all well and I wish him well in whatever he chooses to do." Captain Seamus Coleman added: "As long as he and I have been in the squad, he has been nothing short of an example to all of us. The pride, every time he has played for his country he has been an inspiration to all of us. "These new lads that are in the squad in the next few years, he is a real example and he will be missed."